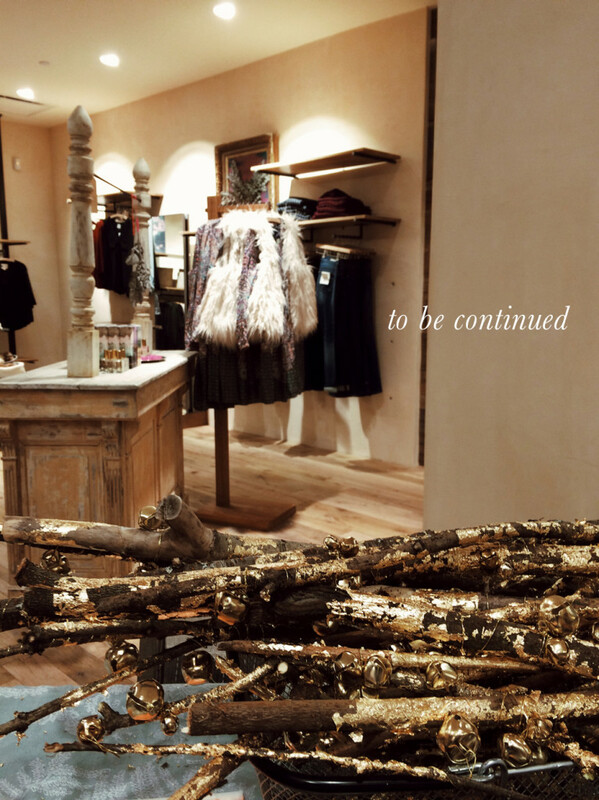 A couple of weeks ago, I spent the afternoon at Anthropologie in Bellevue WA. 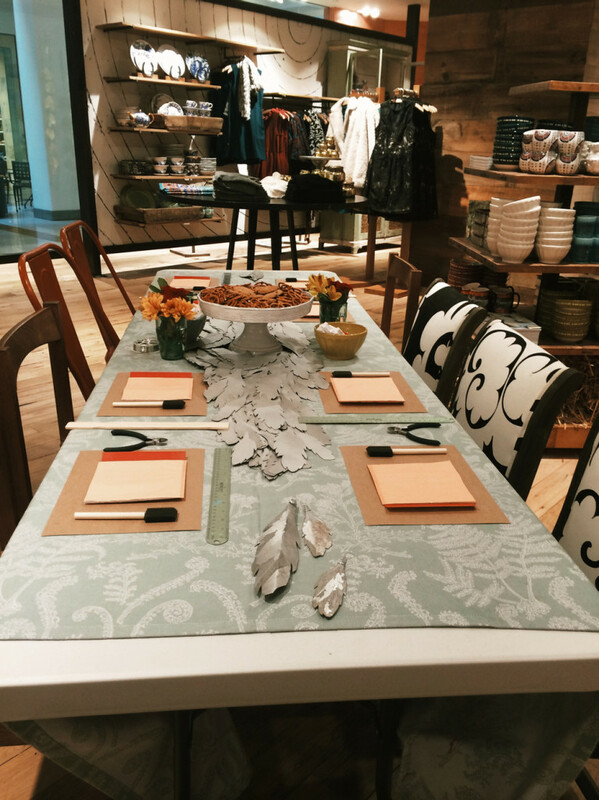 Anthropologie hosted a workshop to make two crafting projects for their upcoming holiday window display. Doesn’t this sound lovely? As soon as I entered the store, this beautiful table was one of the first things you saw. All materials were nicely set up for us, along with light snacks and sweets. The workshop consisted of two crafts. The first was to make golden branches, adorned with a wire and small bells. 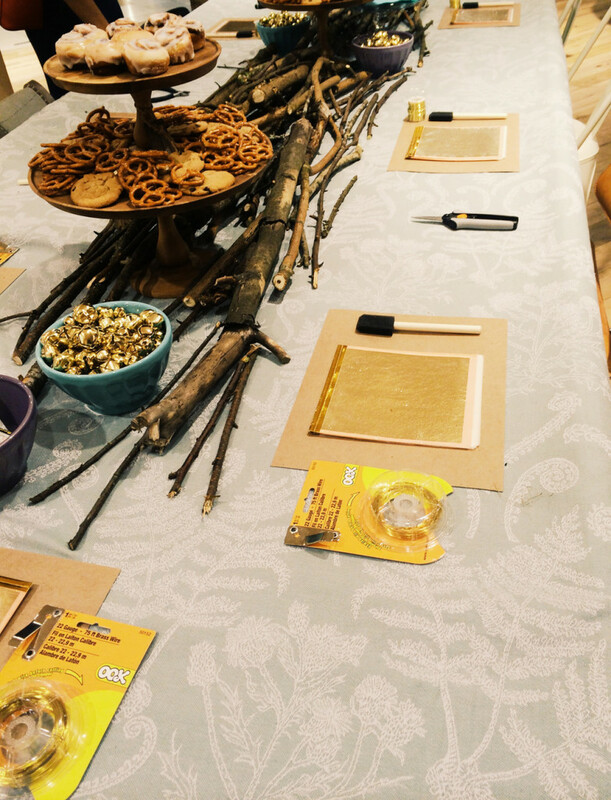 The second table had materials for creating feathers with silver foil. 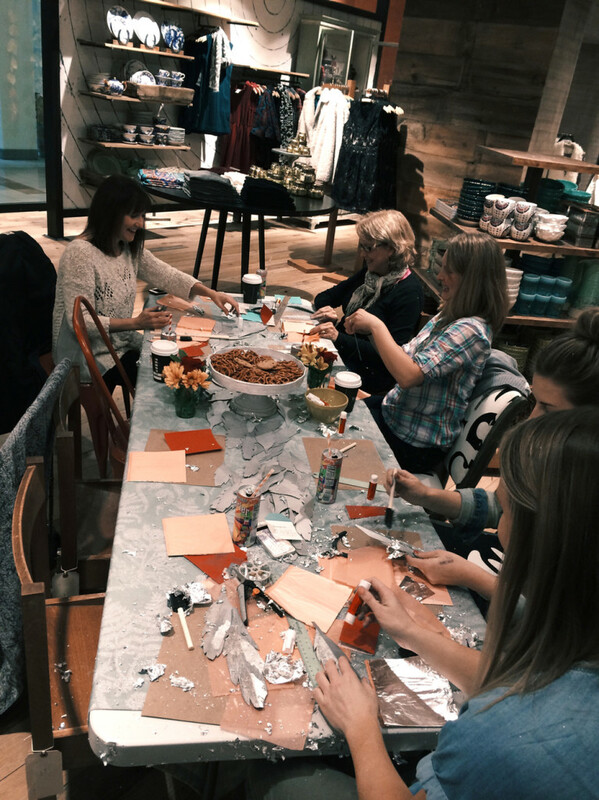 A few attendees and Anthropologie’s staff crafting away! I chose to participate in the golden branches craft. These were fairly easy to make. First I applied glue to one branch. Then I tore off a page of golden foil and wrapped it around the branch. Once I had enough gold material on the branch, I used a foam brush to make sure the gold foil was properly set. Finally, I chose two gold bells and wire to wrap around the branch. The fruit of our labors! The branches will be used to set up a display evoking the woods and a few birds perched on the branches. 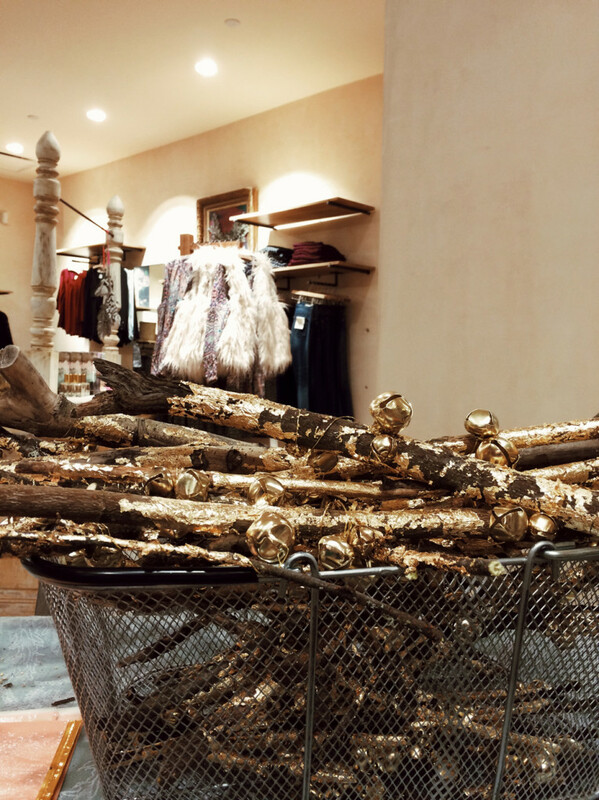 I can’t wait to go back to Anthropologie to see how the final display turned out. 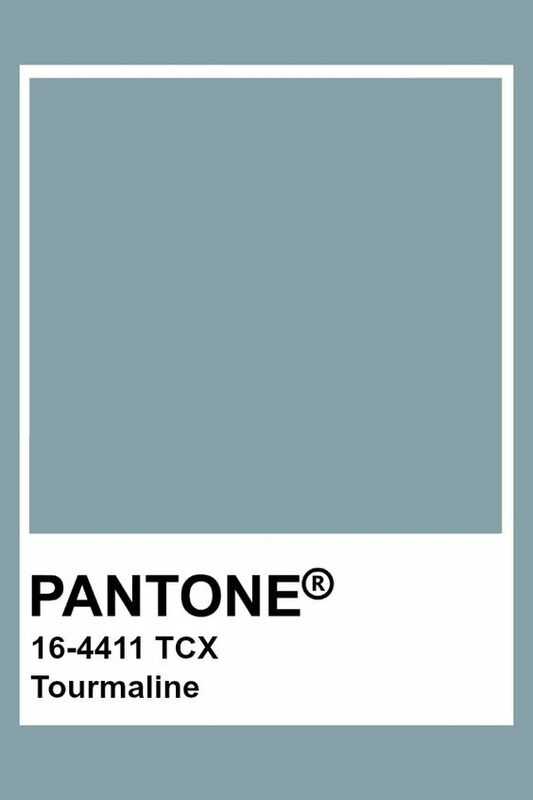 All the branches should have lovely birds and silver feathers. I will post a photo of the final display very soon! 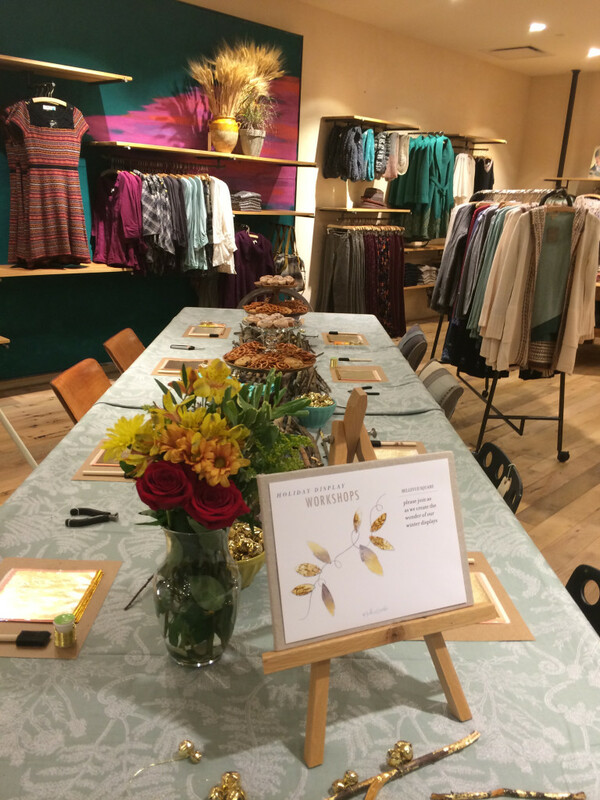 For more information about Anthropologie’s holiday workshops and upcoming events, click here to view their schedule organized by regions and states. Hello! You have to try a workshop next year for sure! Thank you for inviting me to your linky on Saturday. What a cool idea! Definitely worth trying! These are so perfect! Love them. 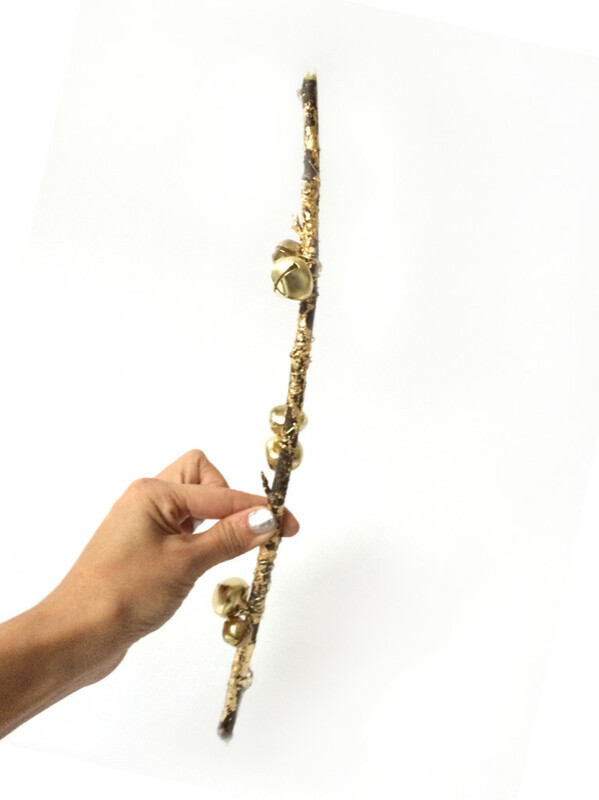 I hope you will share it tonight at the Found & Foraged linky party! It starts at 8PM CST. Can’t wait to see you there http://www.thebigrevealblog.com!